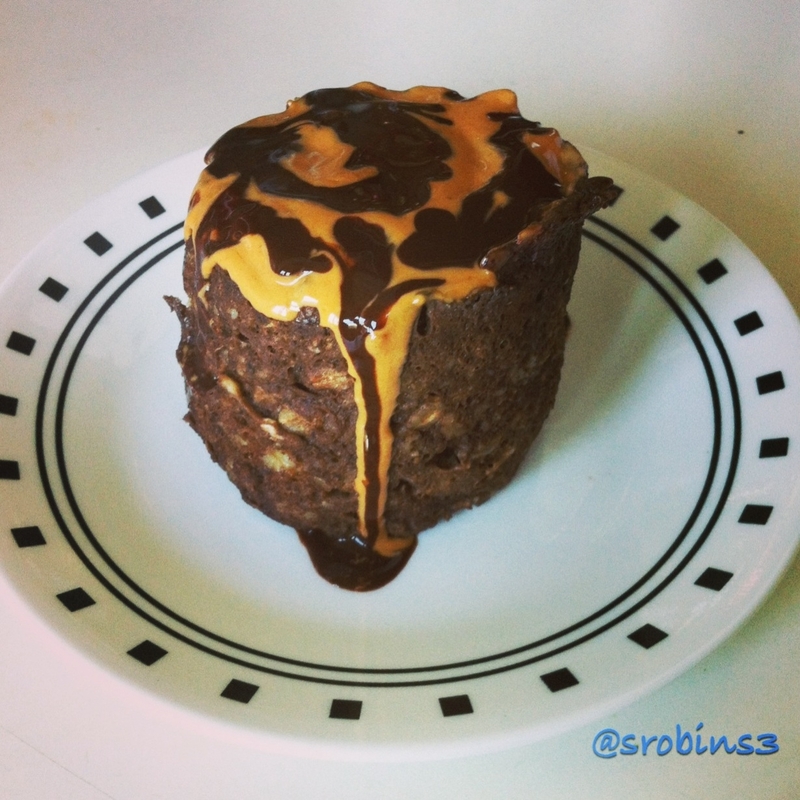 Chocolate protein mug cake with peanut butter. 1. Mix oats, water and honey in a microwave safe mug sprayed with non stick. 3. Stir in egg, baking powder, cocoa, whey. 4. Microwave for an additional 1-2 mins. 5. Plop that bad boy on a plate and top it off with some peanut butter and Walden's chocolate syrup. Can be made as a blueberry muffin sans cocoa or any other fruit you desire.